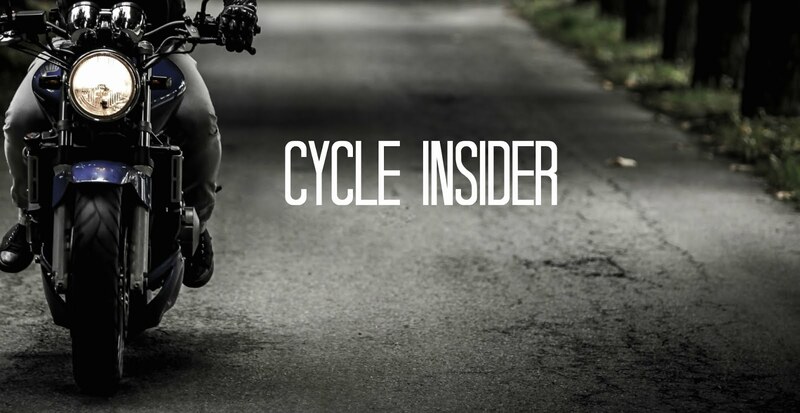 So you just got a killer deal on a bike on CycleTrader and you want to make sure everything is in tip top shape before your big upcoming ride. Whether you know if your valves need adjusting or not, it’s a good idea to at least check them periodically, especially in bigger or high compression engines where valves need to be adjusted more frequently. This simple guide will get you started with the basics on how to check and adjust your valves. This guide is for most 4 stroke motorcycle engines, but does not cover every make and model, so consult a repair manual for specifics for your bike. 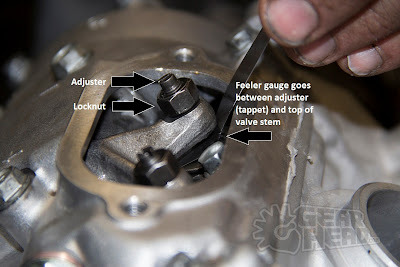 Valve adjustment can seem intimidating but it’s fairly simple on most bikes and can save you lots of money in the long run instead of having to take it to a mechanic. · Feeler gauges – Feeler gauges that match the specs you need to measure. (Some automotive feeler gauges are too big) Any local auto or motorsports store should carry some. · Basic Tools – Basic tools like screwdriver, sockets, pliers, and wrenches to remove the valve cover, sparkplug, and turn over crankshaft nut. 2. Take off valve cover and set aside. They may need a love tap from a rubber mallet to break loose. You should be able to see the rocker arms and valve stem/springs at this point. a. If valve clearance is correct, there will be a slight drag felt on the correct feeler gauge. If the gap is incorrect, you’ll need to adjust the valves. If you have a shim type valve, you’ll most likely need to remove the rocker arm to replace the current shim with one of the correct size. This may mean more work to make sure that timing isn’t affected and trial and error to get the right shim size. Consult your bikes repair manual for specifics on your bike. If you have a screw and locknut style valve adjuster, then you can simply loosen the locknut and adjust the screw to the correct specs. 6. Do the same for all valves on that cylinder and then move on to other cylinder(s) using steps 2-5. 8. That’s it! Now go out and ride that freshly tuned beast like you stole it. If you run into or cause any broken parts along the way, (bolts, gaskets, etc) be sure to replace them with genuine factory OEM motorcycle parts. Gearhead.com offers free online parts diagrams and sells millions of OEM and aftermarket parts, gear and accessories for all major makes and models of motorcycles. Great blog. I has everything I need. You see I'm helping my husband for his upcoming bike trip with a couple of his closest friends. I don't want him to have problems during the trip so I'm researching a bit. I went through several plastic splitters like this before I broke down and went brass. Every single one of the plastic ones broke down in the desert sun and cracked in a single summer. These are holding up flawlessly so far, and I don't expect them to fail any time soon. Even if it costs three times more, do it. Brass will last much more than three times longer than plastic. I see. So that is how important valve adjustments are. I knew that it is part of maintenance but I just don't know how to do it. I usually hire a professional to do it when it is just so easy. I'll try doing it myself next time. Thanks for this. Can valve adjustment be done by own? I always depend on the repair center for this issue and I know nothing about the valve. Thanks for enlightening on this topic but only for 4 stroke engines. It's my care center BMW maintenance Mathews, NC that resolves all my vehicle issues. Anyways, thanks for your guidance. For engines with rocker arms and screw type adjusters, take a feeler gauge of the right size and place it between the end tip of the valve and the screw adjuster. If it is out of specification use a wrench or Valve Adjusting Tool to loosen the screw and change it.